New computers require some pre-configuration prior to using such as language choice, connectivity, personalization, date selection etc. Following this process, there is the necessity to begin the downloading of updates - these update are seemingly endless all too often are not taken into consideration by end users. Even box store technicians that provide prep-services often ignore this important step, perhaps because of the time required to do the job right the first time. Once the operating system is fully functional, the next step is to decide whether to leave the pre-installed trial software installed or to remove it. Trail software is usually functional for a period of 60-days after which, the user has the option to purchase the trial software, remove it themselves or to ignore it. Trial software is usually Office 2010 and either McAfee or Norton anti-virus. Kwicks PC offers alternatives to trail software without adding additional costs to the price of your computer purchase. Migration includes all user data files & settings. The process does not remove any files or settings from the old computer. 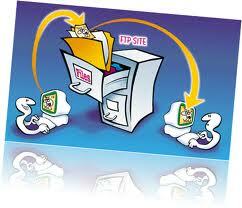 The service also includes email migration, Multiple user accounts and so on. The old computer must be made available to us for this process.